On the October the 6th we took part in International Field Trials for Weimaraners in Busko Zdroj (PL). 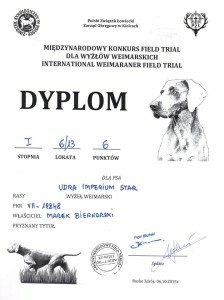 There were 14 weimaraners entered form 4 different countries. The weather was a bit difficult for the dogs. It was warm and sunny with no wind at the beginning of the day. Than there was light wind but constantly changing its direction. Many patridges and pheasants, hares and roe-deers. 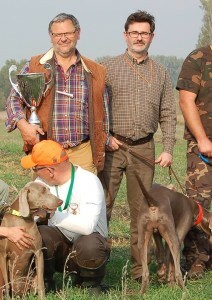 We were judged by Piotr Błoński (PL) and Giuseppe Molinari (IT). 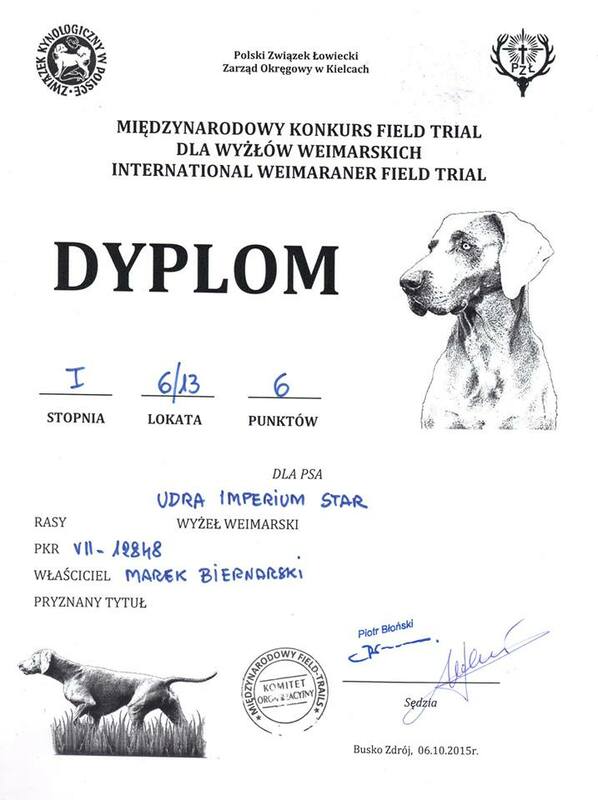 We are very proud of Udra which was qualified “excellent”.